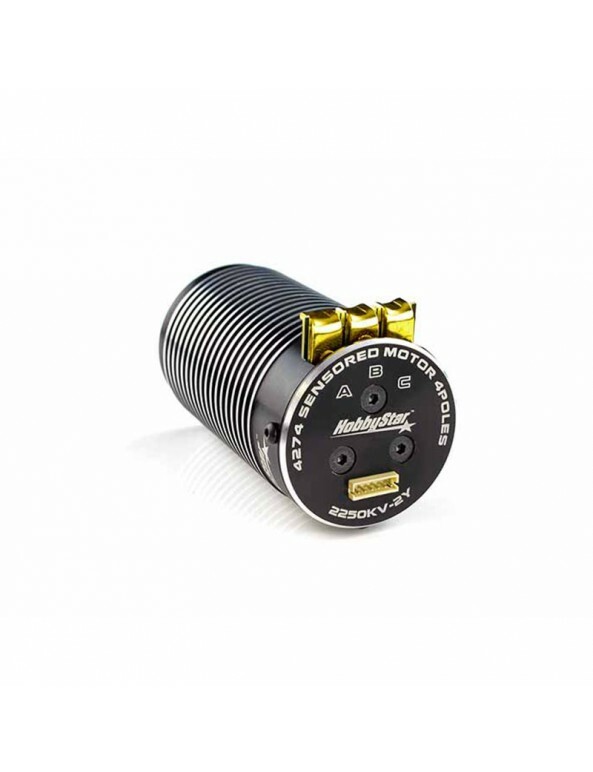 The same 1/8 scale powerhouse design as the HobbyStar 4076 sensorless motor, the HobbyStar 4274 adds a sensor to provide silky-smooth operation at all RPM's. 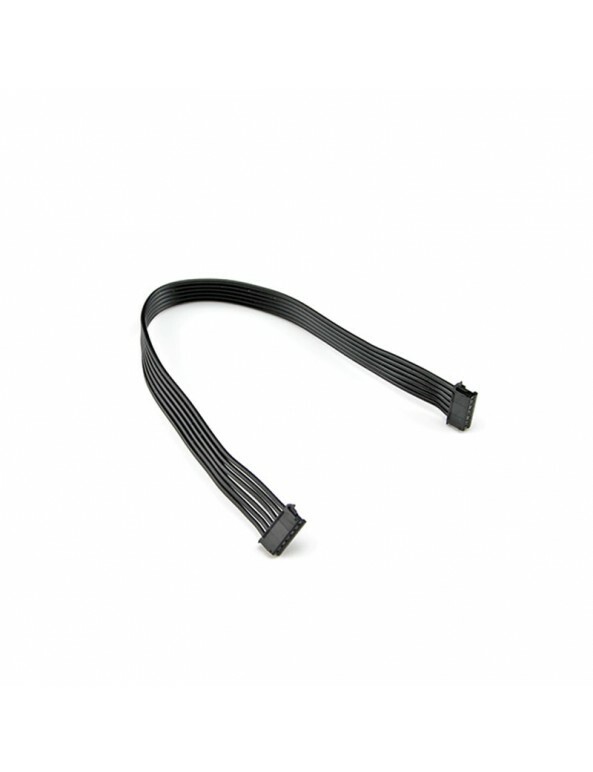 Gold-plated solder tabs feature a concave design to hold solder in place for an easy, clean connection to motor. With the power to throw your truck around like a toy, the HobbyStar 4274 brushless, sensored motor is the ideal powerplant for to supply your 1/8 scale vehicle with tire-shredding power. 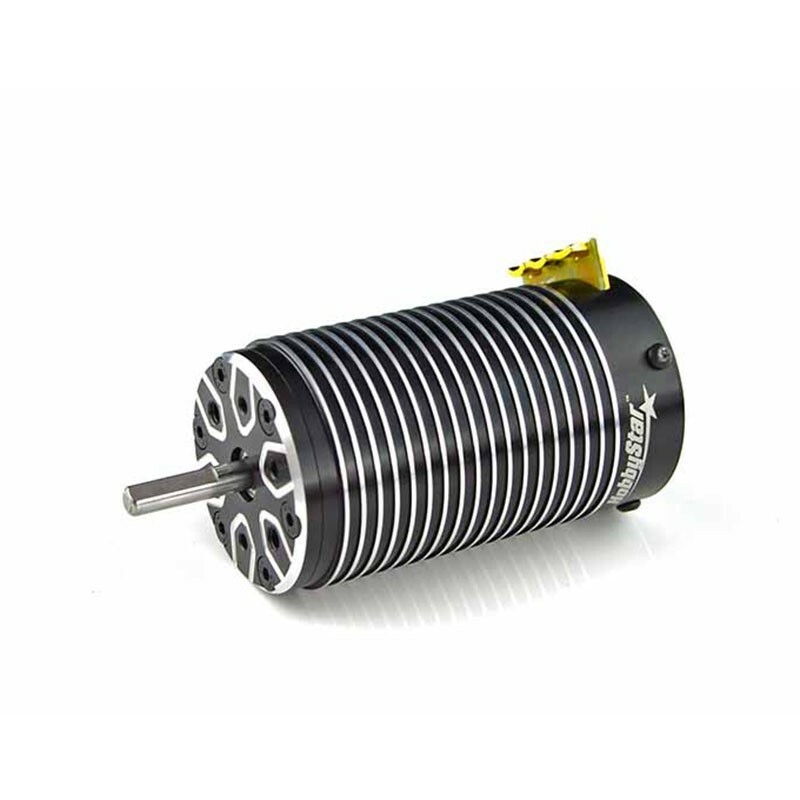 4-pole design and a 12-slot stator provide unbelievable torque. 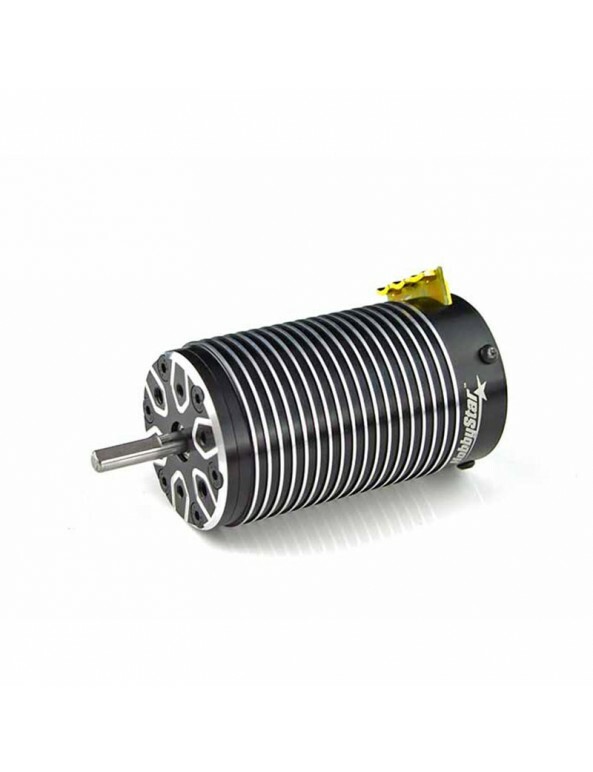 High-quality features like a beautifully machined 6061 T6 billet-aluminum can, buttery-smooth ABEC5 bearings and a 74mm length make this the ultimate motor for your monster truck or truggy. 4268 Sensored Motor Manual - Click on link to view the file, or right-click (control-click on a Mac) the link and choose “Save Link As...” to save the file to your computer.